Leadership presence includes character, charisma and self-confidence YET is much more. People with large presence actually exert a magnified energy field or aura. You feel it. You know it. You are impacted by it. The BIG question is … How can YOU develop your own leadership presence? It all starts within, even before you speak. Let’s look at the 3 most important how to’s. I learned about the importance of owning my space from 3 completely unrelated interests — dancing, professional speaking and Qi Gong. I learned, for example, to own my space as a speaker by claiming the stage as my “home.” Mentally, saying to myself “This is my place. I am home here. I own it.” It also meant pausing before I spoke … as I stood centered and grounded on the stage … connecting silently with every single person in the audience. It meant utilizing the entire stage – not just one area – to move and connect with my audience. Owning your space is not physical nor visual. It is kinesthetic, energetic and spatial. It’s mindset, attitude, personal power and congruent physiology/tonality all wrapped up in one. Owning your space is absolutely crucial to become a powerful, influential leader. Practice these 2 steps and you are on your way. whether it is on the dance floor, on the stage, at the head of a conference table or leading an entire nation. Know you belong. Claim it. Step into it fully. It’s your space, your place. And no one else’s. When you own your space, you are letting your organization know that you believe in your value … that your voice and contribution matter. Are you a leader that owns your space? Or do you do everything you can to take up as little space as possible? In your role, do you tend to shrink back from shining? Uncomfortable with attention? Feel insecure about yourself? Your feelings about yourself and your ownership of space are directly correlated. The question is: how do you change one or both? That brings us to the next step for owning your space. Clear your space and make it your own. According to quantum physics, every living creature has an energy field or space. The problem is that you are bombarded continuously by the demands, thoughts and emotions of others to the point that their energy is in your space. That’s right … their energy is in your space. And you are not even aware of it. Many of the fears you experience are not even yours. They may be your parents’, spouse’s or colleagues’. They may be the media’s fears about the economy or other social ills. Or any other person for that matter. The solution … you must clear your inner space of other’s “emotional clutter.” Here’s one simple exercise to do so. Take a few deep breaths. Now simply observe your self-talk, emotions and thoughts. Are you replaying a conversation in your head? Are you feeling resentful because of another’s actions? Are you anxious about any specific area of your life? Now set an intention to claim your space, mind and thoughts only for you … no one else. It’s time to clear your space. Imagine a giant magnet or vacuum cleaner – bigger than you – clearing out the “garbage” from your space. Give yourself a minute or so to pull out as much as you can. Notice how much more space and freedom you now experience. Fill your space with an empowering color that signifies who you are and what you want to project to the world. Guess what? You now own your space. Keep doing the above steps till owning your space becomes a part of who you are. Like it or not, your imagination drives both your leadership successes and failures. If, on the other hand, you see yourself giving a confident, mesmerizing performance (assuming you prepared), you will likely get that. Mental rehearsal is a process, using your imagination and 5 senses, that puts you into your flow state. Every Olympic athlete uses it. That’s what got Michael Phelps 18 gold medals! 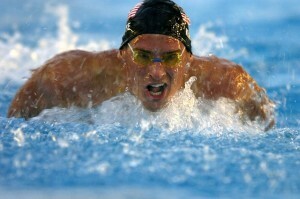 Phelps would lay in bed, eyes closed, and mentally rehearse the entire race. The start, diving into the water, and every detail of every stroke as though it was happening in real-time. He imagined even his warm up routine, possible mishaps and his responses to them, over and over again. NOTE: Mental rehearsal is NOT the same thing as visualization. There are 2 main distinctions. The focus of visualization is on the end result – such as, making a certain income. The focus of mental rehearsal is on the experience and execution – such as feeling confident, your movements and gestures, etc. Visualization just includes the visual sense or images. When I teach mental rehearsal, I want my clients to use at least 3, ideally all 5, senses to have a powerful internalized “memory” of how they want to show up. Identify a specific situation where you would like to exhibit leadership presence. Describe in detail … what will you see, feel, hear, smell and taste when you experience presence? For example, I am smiling and energetic. I exude confidence yet remain calm and authentic. I notice the audience engaged and present. Imagine you are watching yourself on a movie screen. See yourself showing up with presence in a specific situation. Include rich colors and images that are large and close to make real. See yourself acting decisively and without fear. Now include all sounds – eg., your voice exuding authority and background noises in the room. Include all feelings – temperature, mood, your body moving effortlessly. Who else is with you? What are they doing? Now step into the image of yourself and run through the scenario again. This time you are seeing, feeling and hearing it as if it is happening NOW. Allow your imagination to create even greater details, more vivid colors, feeling exactly as you want to feel. Repeat these 3 steps a number of times before your designated event or situation. When you learn how to work with and control your life force energy, your leadership presence, influence and performance will skyrocket. Where you put your mental attention can actually change your physical body and emotional energy. Here’s an exercise to demonstrate that. Do it with a partner. First, put every ounce of your attention on your right ear lobe. Make sure your thoughts are on nothing else. When there, ask your partner to gently push you on the shoulder from the front. You will discover that the slightest touch will put you off balance. Next, imagine there is a large golden sphere of energy in your belly area, just below the navel. Now put all your attention on this sphere. (In QiGong, we call this your energy center or dantian.) Once all your attention is there, ask your partner again to push your shoulder. Notice the difference. While the shoulder may move toward the back, you spring right back and don’t lose your balance. Just 3-5 minutes a day, focusing on a golden sphere of energy in your belly is all you need to cultivate mental, emotional and physical balance, as well as build your life force energy. Even YOU can afford that little time for such a high payoff. The 3 strategies above – owning your space, mentally rehearsing and cultivating your life force energy – will put you on your path to a commanding leadership presence. These strategies only take a small investment of time and daily practice. As you increase your presence, you will find yourself closing more deals, wowing your audience and/or employees, achieving your vision and igniting passion in your organization. Not to mention you will feel happier and at ease within yourself. Want to know the leadership secrets for building a climate of trust with your employees? Stay tune for part 3 of our article series — How To Unlock Your Leadership Influence Instantly — in May. 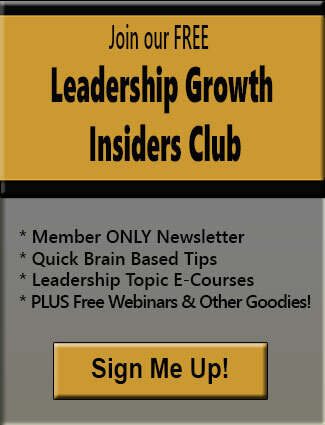 Want to learn more about leadership influence? Check out the following articles. Posted by Denise Corcoran on April 14, 2015 in Emotional Mastery, Employee Engagement, Influence, Leadership Performance, Mindset, Motivation and tagged brain, emotions, employee engagement, energy field, flow state, identity, imagination, inner game, leadership confidence, mental rehearsal, Michael Phelps, mindset, NLP.